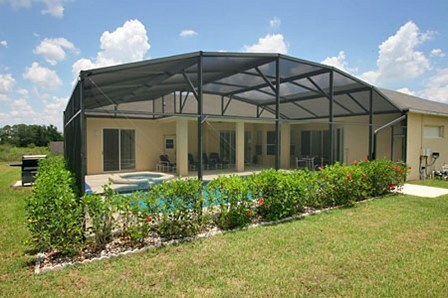 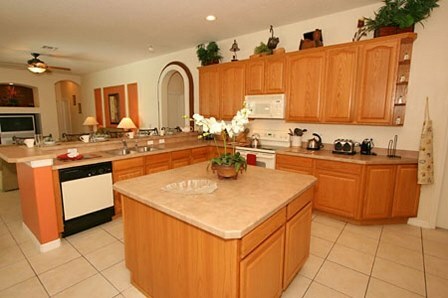 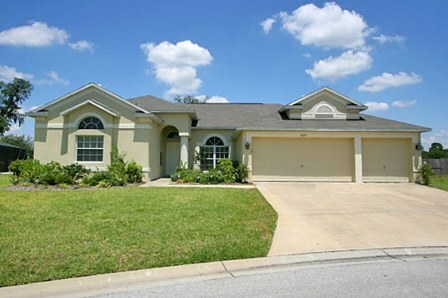 Set on a Large 1/3 acre on the prestigious community of Grand Reserve, is this lovely 5 bedroom 4 bathroom villa. 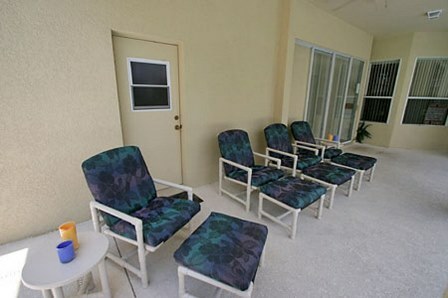 The south west facing pool deck has 2 covered areas, with ample chairs and loungers There is also a BBQ for your use. 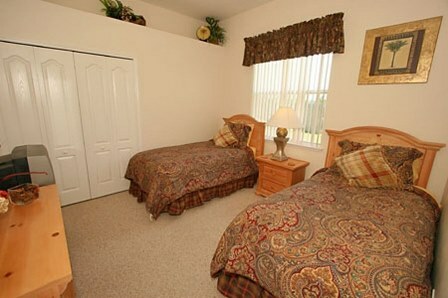 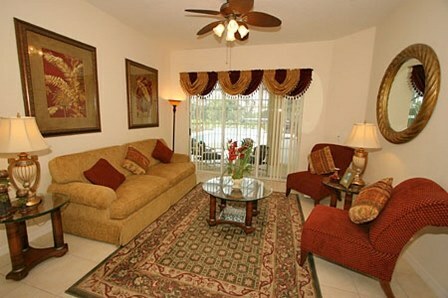 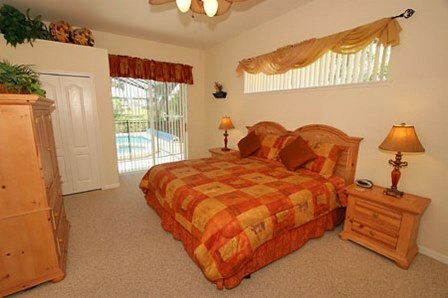 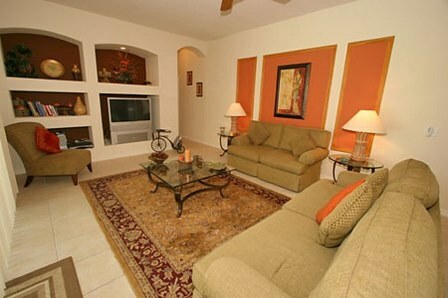 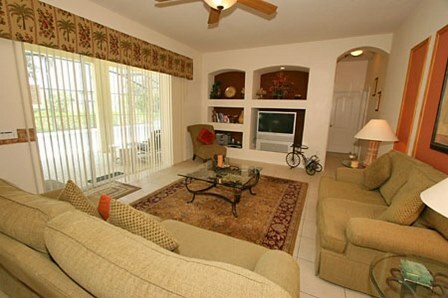 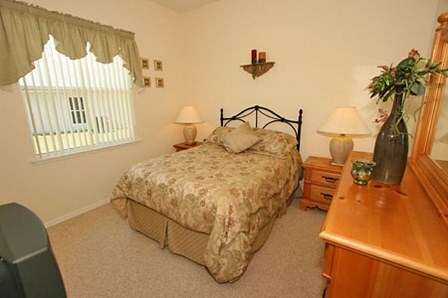 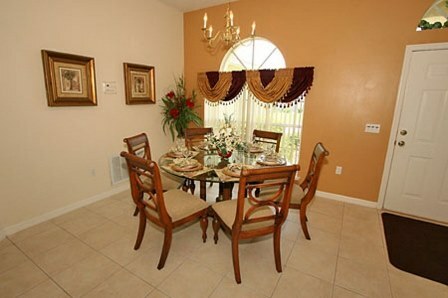 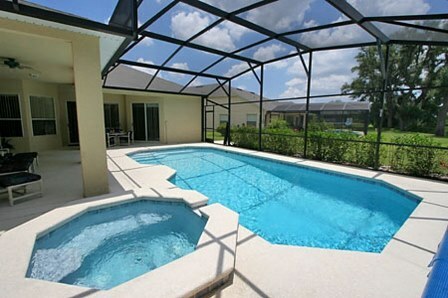 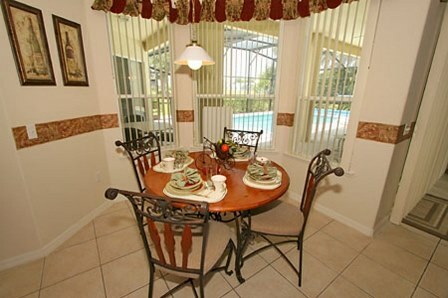 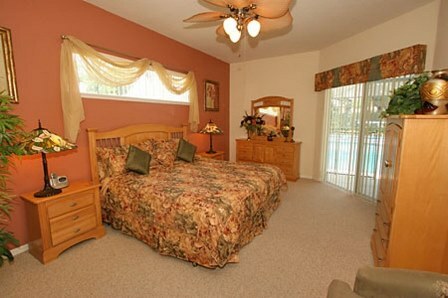 The villa has two master suites with King size beds and lots of storage space. 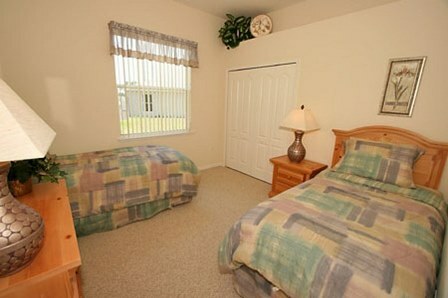 TV/DVD combos are standard in the master suites. 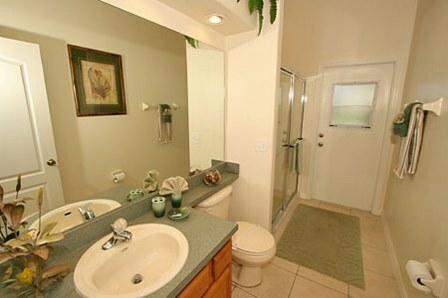 The first master suite has a large shower and separate Roman bath and twin vanity unit wash basins. 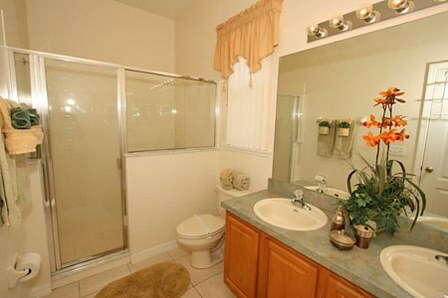 There is also a separate WC. 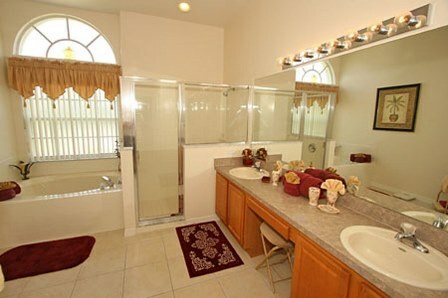 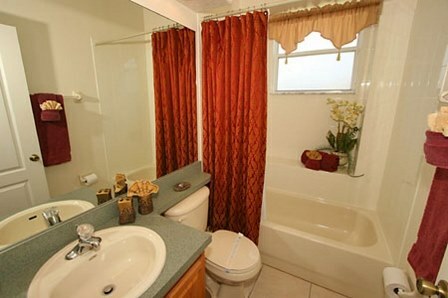 The second master suite has a large walk in shower , vanity units and WC.